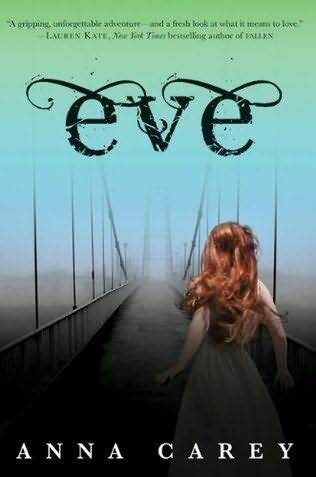 This week I’m reading Eve by Anna Carey. It is a YA Dystopian novel published in 2011 and the first installment in the Eve trilogy. I have had it on my bookshelf since last Fall and I thought it was time for me to dive into it, since Once, the second book in the series, is due out in July 2012. “Where do you go when nowhere is safe? Sixteen years after a deadly virus wiped out most of Earth’s population, the world is a perilous place. Eighteen-year-old Eve has never been beyond the heavily guarded perimeter of her school, where she and two hundred other orphaned girls have been promised a future as the teachers and artists of the New America. But the night before graduation, Eve learns the shocking truth about her school’s real purpose–and the horrifying fate that awaits her. This entry was posted in Book of the week and tagged Anna Carey, Book of the Week, Dystopia, dystopian novel, EM Castellan, Eve, Eve trilogy, Once, readings, YA Books, Young Adult literature. The premise of Eve sounds fantastic! I’m quite interested to know what the school’s real purpose is, and how the novel unfolds. As someone who went to an all-girls school most of her life, I’m also interested in seeing how the author deals with the main character’s first interactions with males, LOL. Will be putting this on the TBR list! I just finished Cinder…still not quite sure what to read next, though…I have a few books I need to read for review, but there’s also a couple of older titles that I’ve been eyeing! I know what you mean, it’s hard to start reading a new book when you’ve just finished a great one. I’ve noticed you got “The Immortal Rules” In Your Mailbox, I’ve been dying to get my hands on that one, if I were you I’d read it first 😉 But that’s just me… Have a good reading week! The blurb sounds really interesting. It also seems a slightly different twist, so I think I will have to add it to my TBR list. I also love the cover. Hope you enjoy reading it!